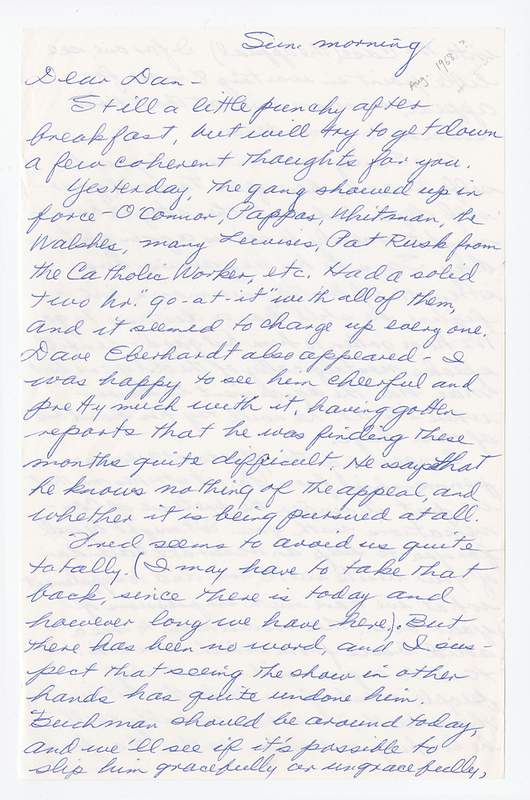 Another letter of Philip Berrigan from prison to his brother, Daniel. a few coherent thoughts for you. and it seemed to charge up every one. whether it is being pursued at all. hands has quite undone him.